The Warner brothers opened their first cinema in a converted room on the ground floor of the old Knox hotel on South Mill street in 1905, when John Whitten was six years old. Harry Warner bought the fixtures and fittings from Whitten’s hardware store on East Washington street, which was owned by John’s father, who helped the Warners install the chairs that they rented from a nearby funeral parlour. The cinema did well, and the Warners were able to open sixteen others across Pennsylvania. In 1910, they sold their business for $52,000 and opened a film production company in New York. They never returned to New Castle. In 1918, the year the Warners established a studio in Hollywood, a motion picture director named Henry Belmar suffered a nervous breakdown when the film biography of Lincoln that he was working on collapsed, leaving him heavily in debt and pursued for thousands of dollars by creditors. He fled to New Castle, a town he had never visited before, and took a room in the Henry hotel, where he lived in seclusion for the rest of his life, earning a little money selling Stay-Prest trouser presses. From time to time he would tell acquaintances about his ambition to one day finish his Lincoln picture, but nothing ever came of it. Henry Belmar died in New Castle in 1931, the year John Whitten—who had by then taken over the management of his father’s hardware store—married a nurse from Youngstown. The store went bankrupt a few years later and John became a refrigerator repairman, fixing and maintaining the same appliances he had previously sold. 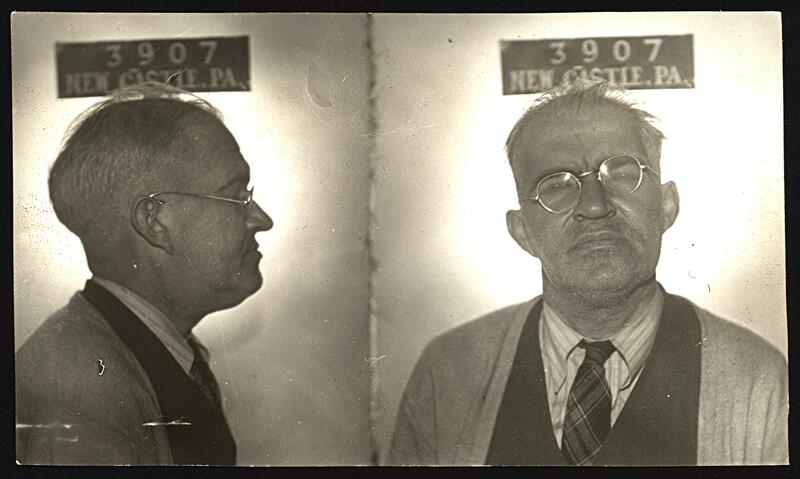 His arrest in 1942 for driving under the influence of liquor was noteworthy only insofar as it made him one of the first drivers to be convicted through the use of the city’s newly purchased drunkometer, a machine in the office of the chief of police that could detect alcohol on a person’s breath. Other than the subsequent fine of $100, there is no further record of his life. By the end of the century, the South Mill street block that had housed the Warners’ first cinema was largely derelict. In recognition of its historical and cultural significance, the city bought the property and transformed it into a shopping and entertainment complex, which, it was hoped, would help to regenerate the downtown area. Unable to attract sufficient tenants, it closed down after four years. In 2011, it was sold to a west Pennsylvania bank to cover its accumulated debt of $4,500,000. Sources: New Castle News (24 March 1922, “Tomatoes And Beans Lead Here”; 23 Sep 1926, Classified Ad, “Male”; 23 March 1931, “Widow Of Stage Actor Writes Husband’s Life”; 30 April 1931, “John Whitten Weds Youngstown Girl”; 9 Jan 1936, Advert, “Bankrupt Stocks”; 15 Sep 1938, Classified Ad, “Repairing”; 21 Dec 1938, “News Briefs From City Hall”; 4 Oct 1941, “Recalls Opening Of Warner Bros Nickelodeon Here”;21 Oct 1942, “Around City Hall”; 5 Dec 1942, “On Court House Hill”; 10 July 2010, “Editorial”; 6 Jan 2011, “Three Commercial Properties Sold At Sheriff Sale”); The Bridgeport Telegram, “3 Oct 1918”, “Lincoln Cabin In Cran’s Woods May Be Auctioned”.